When is the best time to post on social media? Everyone wants to know the best times for getting the highest engagement on social media channels. Posting the right content at the right time can make the difference between getting lots of valuable comments on your post and clicks on your links or no engagement at all. The best time to post on social media depends on a variety of factors, including the region you're targeting, the type of information you post, the platform, your target audience and how they interact with the platform. This means different businesses may find different times of the day work best for them. Here are some general guidelines for the best times to post on Twitter, Facebook and LinkedIn. Twitter users are more active on their way to work and are more likely to use Twitter during school or work hours. For maximum retweets, post at 5 p.m., 12 p.m. and 6 p.m. 12 p.m. and 6 p.m. also deliver higher click-through rates. The best days to tweet for business-to-business organizations is Monday through Friday, for business-to-consumer it's the weekends and Wednesdays. You can use tools like Followerwonk to find the optimal time tailored to your audience. The shelf life of a tweet is very short and only lasts about eight hours (or in a split second depending on how your followers use Twitter). With this in mind it's a good idea to post at least four tweets a day to ensure you maximise your exposure in the newsfeed. You can also post more than this, including retweeting your old tweets, if they are still relevant. To save you time on Twitter you can use tools like Bufferapp or HootSuite to schedule your tweets. This means you could spend half an hour in the morning scheduling your tweets so they go out automatically during the day at certain times. However, you will still need to check your Twitter feed regularly to monitor engagement and respond to comments. The best days to post on Facebook are Thursday and Friday, with Monday through to Wednesday getting the lowest engagement rates. In addition, Facebook spikes by 10 percent on Fridays. Generally speaking, the best time of day to post on Facebook is between 1 p.m. and 3 p.m. and more broadly, 9 a.m. through to 7 p.m.
You can access the best times and days to post on Facebook by accessing your page's insights in the posts sections. In the graph section for 'When Your Fans Are Online', you can see the days and times when your fans are using Facebook. This data is constantly updated so it's a good idea to regularly check these stats to help you reach your audience. The minimum you should be posting on Facebook is once a day. However, it depends on the type of posts and who your target audience is. You should also regularly monitor and respond to comments and questions posted on your page. Facebook also allows you to schedule posts from your Facebook page, which means you can set aside time to schedule your posts for the coming week. The best days to post on LinkedIn are Tuesday through to Thursday during work hours. In addition, Tuesday 10 a.m. to 11 a.m. is known to get the most clicks and shares. The worst time to post content on LinkedIn is between the hours of 10 p.m. and 6 a.m.
You should post at least once a day on your LinkedIn personal profile. For company pages, aim to post at least once per week but no more than once per day. To make this process easier you can use the same articles you posted on your Twitter and Facebook profiles. You may need to change the wording of the post to ensure it suits the tone of LinkedIn. Avoid using scheduling tools for LinkedIn as it looks very obvious your posts are coming from a third party and can seem robotic. This looks like you are not active on LinkedIn and you won't be able to generate a high level of engagement. If you have a LinkedIn group, posting three times a week is enough. These posts should be thought provoking and engaging to start discussions with your members. You also need to regularly check back and contribute comments to any discussions. These recommendations for the best times to post on social media may not always be effective for every business. You should experiment with posting on social media at different times of the day with different types of content to find out what works best for your business. 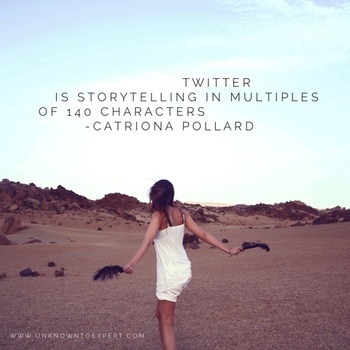 Catriona Pollard is the author of 'From Unknown To Expert', a step by step framework designed to help entrepreneurs develop effective PR and social media strategies to become recognised as thought leaders and influencers in their field.www.UnknownToExpert.com. Catriona is also the director of CP Communications, which merges traditional PR tactics with cutting-edge social media strategies that engage consumers as well as business.